The new Panasonic GM1 was created with small size in mind. 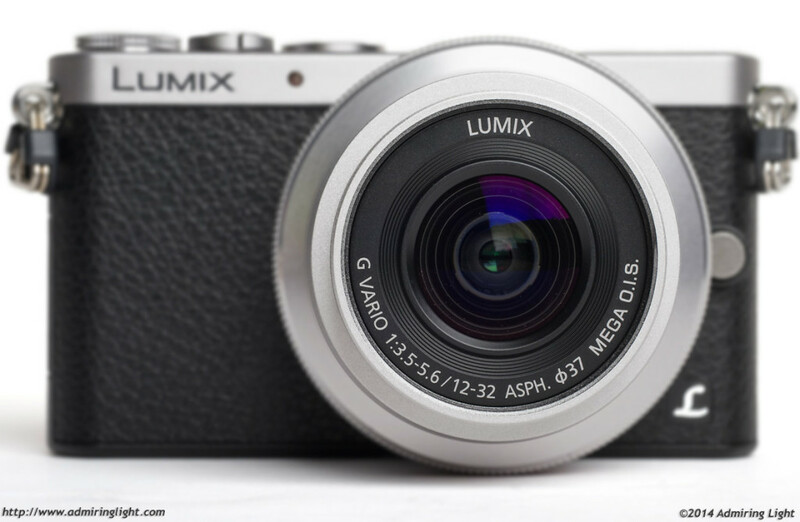 To that effect, Panasonic saw fit to design a new kit lens for the tiny camera. The result is the collapsing Panasonic 12-32mm f/3.5-5.6 OIS. Panasonic not only managed to make a lens that is barely larger than the miniscule 14mm f/2.5 pancake, but they also created a wider lens to boot, starting at a super-wide 12mm. The Panasonic 12-32mm is an interesting lens. It’s got a somewhat odd focal range, but one I find quite useful. It starts at a wider-than normal 12mm and is a little shorter at the long end than the average kit zoom. 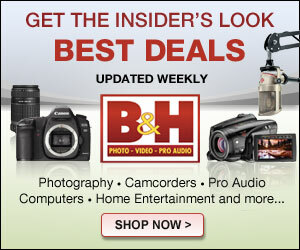 The lens has a field of view similar to a 24-64mm lens on a full-frame camera. The lens has a collapsing design, and when the lens is retracted, it’s less than one inch thick. The tiny size meshes well not only with the GM1 it comes with, but with any of the small Micro 4/3 lenses. The lens is readied for operation by simply twisting the zoom barrel to the 12mm mark. Unlike the collapsing lenses from Olympus, there is no ‘lock’ switch to prevent accidental closing of the lens during use, but rather the lens has a firm detent at the 12mm mark. It’s firm enough to make it feel natural during use, but a quick twist past the stopping point and the lens closes. The 12-32mm is built with a lightweight metal exterior and extending lens barrel made of high quality plastics. It’s relatively tightly assembled, and better constructed than some of the other Micro 4/3 kit zooms, though it’s not going to rival a pro-grade lens. Of course, with a lens this small, handling is easy. The 12-32mm weighs next to nothing and the zoom ring is well damped. The one big ergonomic issue is with manual focus. The 12-32mm doesn’t have a manual focus ring, and as such, manual focus can only be performed by using a rocker toggle on the touch screen of the GM1. 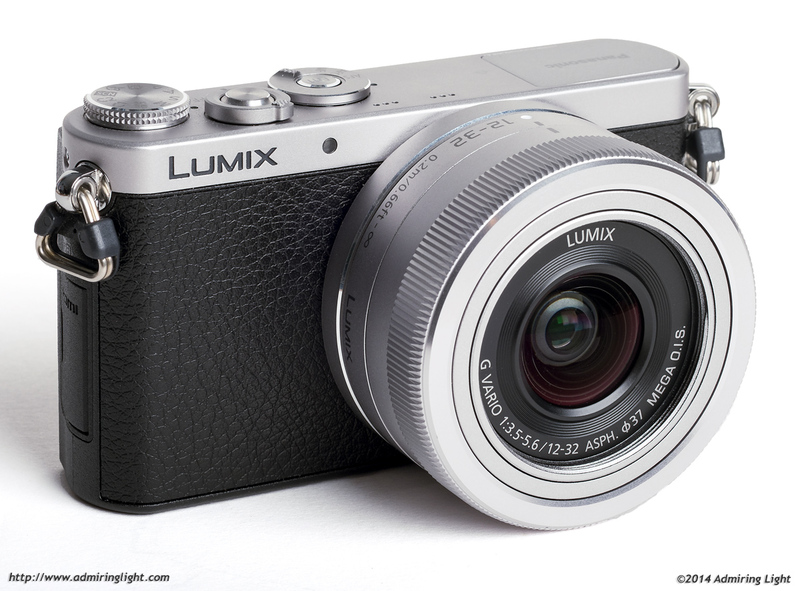 The GM1 comes out of the box with the ability to manually focus the 12-32mm, though other Panasonic cameras will require a firmware update. The 12-32mm is very quick to focus and operates silently. I found the lens to be very accurate and quick to lock, with minimal hunting. In lower light, focus may slow down a little, but overall, there’s nothing to complain about here. I found the image stabilization to work very well on the Panasonic 12-32mm. It uses what Panasonic considers its ‘mid-range’ stabilizer, called Mega OIS. I found the OIS on the 12-32mm to perform perhaps a little better than other Panasonic lenses with this stabilizer. I was able to consistently get three stops of stabilization from this lens, which I view as a great performance, especially while using a body without a viewfinder. Great little lens indeed! I’ve had it for over a month now (along with the GM1) and I have captured lots of nice pictures with this combo so far. Unnoticeable in your handbag until you see a photographic opportunity in front of you and, guess what?, you suddenly remember you have a very good camera at hand! Nice review! I really like the lens but don’t want a GM1. I have a G5. This lens would be great on the G5, which is fairly small itself. I look forward to the 12-32 becoming available on it’s own and to a firmware update for the G5 to allow it to focus this lens manually. (Panasonic, that’s a hint!) In the meantime I will stick with the 14-45 which is, as you say, a very good lens. But I really would like the slightly wider capability of the 12-32 and the smaller size. The 12-32 is prone to shutter-shock at longer focal lengths therefore I doubt it would be a good match for the G5. I tried it on the GH1 and lots of images had visible blur while the ones from GM1 were perfectly sharp. Good to know. The shutter of the G5 does create a vibration (perhaps better described as a thud) that can be very easily felt through the camera body. The electronic shutter would not cause a problem of course, and would be more suited to the kind of photography that a small lens and camera might be used for, being a lot quieter, although not totally silent. About the only time I use the standard shutter is when panning, or when I expect a lot of motion, in which case the shutter shock might not be at all obvious. But still, something too consider. Thanks! I have this lens on my GX1 and have no problems with the shutter. But I am not sure the IOS works well with this cam and there is a need for a firmware update to be able to focus manually. Prone to shutter shock, that’s a shame. It seems to be such a nice little lens with great image quality. Maybe there’s no shutter shock effect if I use the electronic shutter on my GX7. Looks like there is now an update for the G6 to allow it to manually focus this lens. Interesting review! I have a GX1 and have been considering this little lens for a while (really miss the “24mm” field of view I had with the LX5!). The only thing that puts me off is the concern that this lens might suffer from shutter-shock blur on a GX1 body, as the 14-42 PZ does at certain shutter speeds. I have the PZ and have lost a number of otherwise fine photos due to shock-induced blur. Do you still happen happen to have the GX1 around? If so, how does the 12-32 perform on it? Hi. I have this lens 12-32mm on my GX1 most of the time and have never been disappointed. No problems with the shutter shock. I used to have the PZ 14-42 and sold it very quickly as I did not find it good at all. My old 14-45 that came with the G1 is great but not better than this tiny wonder. Glad I bought it. I found the time today to do a direct comparison of the little 12-32mm with my Olympus 12mm f/2 prime. I used a GM1 with the eshutter and a sturdy tripod to avoid any shutter or motion blur. At least in terms of resolution and contrast, it seems the kit zoom at its wide end beats the $800 prime lens across the board, but especially in the mid-field and corners. I suspect my Olympus may not be the best example of its kind, exhibiting a bit of field curvature and decentering, but I was still fairly surprised. Has anyone else gotten these results with these two lenses? Or is my Olympus a lemon? Either way, looks like I may be selling it soon! Your 12mm is definitely a lemon since it took me to obtain 3 different samples to get a good lens. Either it was decentered or it was suffering from a huge field curvature. The last one is OK but still a little bit decentered (once stopped down to 5.6 it’s sharp corner to corner). I got this lens with a GM1. I sold the camera but kept the lens it was so good, I now use it on my GF7 and find it a great little lens for street shooting. It is a bit more prone to flare than the 14-45mm so it’s best to get some kinda hood for it. I’m a big fan of the 20mm F1.7 pancake also but this lens stays on my camera unless I’m shooting in low light or need a bit more bokeh. Fantastic value for money IMO. Pingback: ?????? 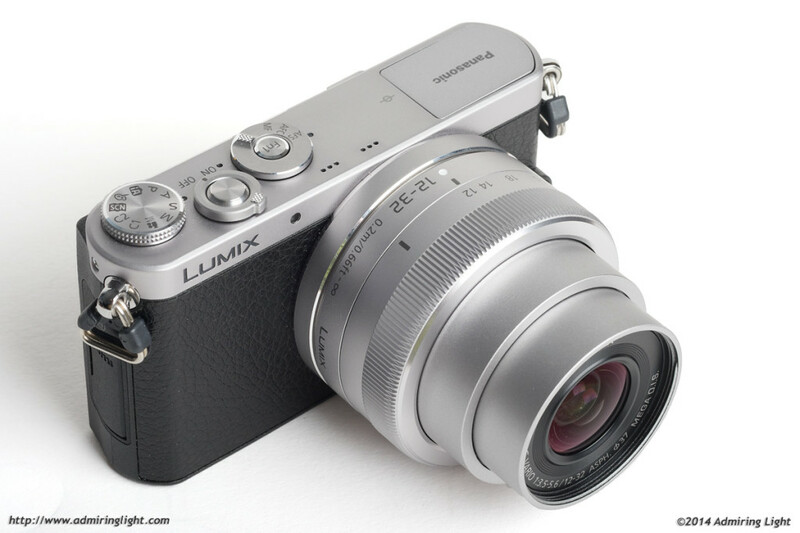 LUMIX G 12-32mm/F3.5-5.6 ASPH O.I.S ??????????? | ???????????? ?